SA Curve Ruler: Review and Giveaway! I have some exciting news for you today: Claire from SACurve is back, and she recently updated her Pattern Drafter rulers! She’s also updated her rolling wheel ruler and renamed it the Curve Runner. There’s a Kickstarter going on for the new and improved Curve Runner right now. More on that at the bottom of the post. If you’re not familiar with these rulers, check out my reviews of the previous versions here and here. They’re awesome for adding stitching lines to traditional tissue patterns or adding seam allowances to patterns that don’t come with any. The curve in the ruler allows you to find just the right fit when adding your new line. And, fun fact, I know that Kathy Ruddy uses these Pattern Drafters, too, since I saw her whip one out during her class at the Sew Expo in 2014. Okay, so, what’s been updated, you ask? First, Claire found that the V on the previous ruler was a weak spot, so she did away with it. Now the ruler is all curves, which makes it so much stronger. Now the entire back curves around in a gentle French curve. It means the straight edge is now only 12″ long, but I far prefer the new curve to the lost 3″ of straight edge. In addition, all of the markings have been redone for accuracy. 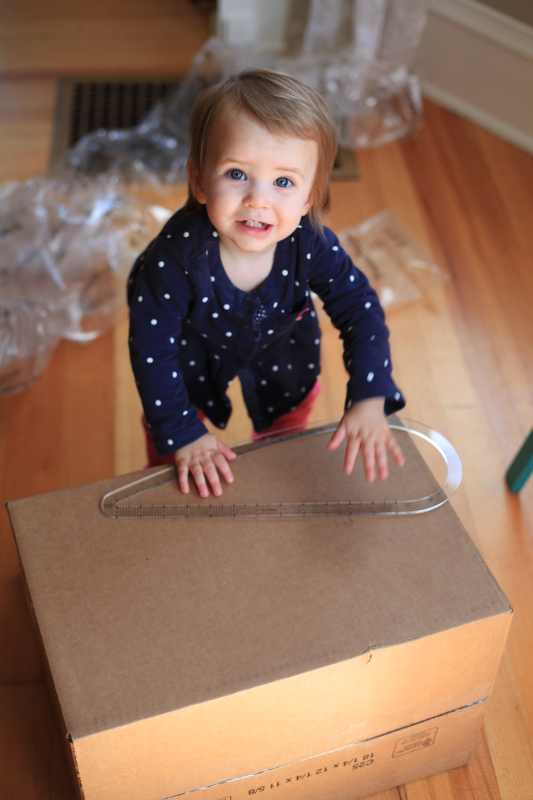 Now for my favorite part – the giveaway. Claire of SACurve has generously offered to give one of you a Pattern Drafter in your choice of size. If you’d like to be entered into the drawing, just leave a comment below letting me know. I’ll pick a winner at random next Thursday, June 11th at 7 am PDT. Good luck! But, that’s not all. I want you all to know more about the redesigned rolling wheel ruler, the Curve Runner. Claire’s got a Kickstarter going on right now for it, and you can help to bring it to market for as little as $1. I was hoping to help her announce the launch, but it seems that she doesn’t need much help since she’s already over 2/3rds of the way to her goal – after one day! I reviewed her previous design here, but this new one is bigger at 8″ around and has a more ergonomically shaped handle. 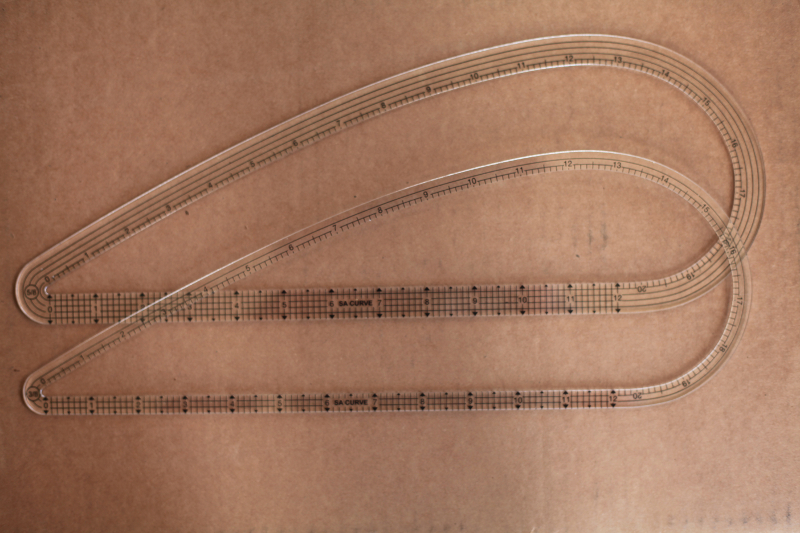 And, just as with the Pattern Drafters, the markings have all been redone for accuracy. There’s even a 20 cm metric version! If you like the idea of a rolling ruler, please consider showing her your support. For a limited time, you can even get one at a reduced price! Or, just show her your thanks for all the effort she puts into making useful sewing tools by making any size donation. 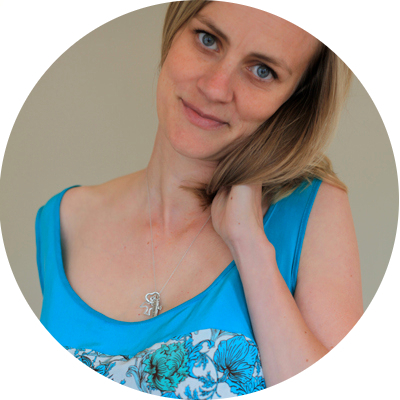 I want Claire to get a huge response – far beyond her original goal – so she’ll keep designing new products! The bonus is that if she does get a huge response, there’s a stretch goal to make a 12″ Curve Runner! UPDATE: The Kickstarter has already reached it’s goal of $1000, which means it will definitely be funded! Woohoo! Now let’s go for that stretch goal! I want to see a 12″ Curve Runner! Okay, so make sure to comment and let me know if you’d like to be entered into the Pattern Drafter giveaway, and then click here to support the Curve Runner Kickstarter. Thanks everyone! Oh, I would LOVE to have the chance to win one of these sets. I have 8 little girls I teach sewing to and this sew would be a wonderful aid for me and them. Thanks for this opportunity! i thought this looked cool the first time you posted about it. I’d love to try it out. Amy, do you know if Claire is going to still have her blog? I followed her previously and loved her method of putting on a knit neck band. Have you seen her tutorial of that? I used to follow her blog, too, but I can’t remember her neck band tutorial. That is one thing I need more help with though! I’ll reach out to her to ask about her blog. That would be great. Here is the link for the tutorial https://www.youtube.com/watch?v=aZ3uPnH95c4. This tutorial is how I found out about her. I have 2 of her rulers and love them. I took Kathy Ruddy’s Craftsy class and she whipped out the 5/8ths SA ruler and used it in the class. Would love to win the pattern drafter ruler! Looks like it would make certain tasks so much easier. Have you heard of (or have on your list of sewing resources in Seattle) the outlet for re-sale of gently used Eileen Fisher clothing? They have workshops on upcycling using de-construction and re-construction. Proceeds benefit womens’ organizations. No, I haven’t… Those workshops sound fun! Do you have a link? Amy, I’d love to be entered in your giveaway. It would be nice to have a more accurate tool for those pesky, I mean beautiful, curves that plague me!! Thank you! What a cool tool! I would love to be entered. Amy, thanks so much for posting that the tools are back! I wouldn’t have known otherwise. Please enter me in the giveaway drawing. Headed to Kickstarter after I click Post. I’ve been eyeing these ever since taking Suzy Furrer’s drafting classes on Craftsy and, if my memory doesn’t fail me, Kathy Ruddy whips one out in her Craftsy pants class One pattern many looks. Please add me to the draw. I would love to win one! Right now I just use quilting rulers but I don’t have anything like a French curve and that would be so handy. Looks like a handy tool. Would love to win one! Thank you! I’m so glad that Claire is back and updated her rulers. I’m going to head over to kickstarter right now. I’d love to winter. Will knep mycket fingers crossed. I would love the 5/8 pattern drafter. It looks amazing! I would like to be entered in your give-away! I was just thinking last week I would like a ruler like this for adjustments! Thank you for the opportunity! I’m so happy for Claire that she is back and making new products. Yay! Thanks for the entry! I’d love the chance to win! I have been getting into Japanese pattern books and this would be perfect for pattern tracing! What terrific looking rulers. I could really use something like that. I’d love to win. Just getting into drafting my own patterns from RTW and this would be a perfect tool! Thanks for offering. What a fabulous giveaway! All of the rulers look incredibly useful. In fact, I own one of them and use it all the time. I have the 3/8″ SA ruler and love it! I would use one of the 1/2″ drafters a lot! I purchased one of the (previous version of course) curve runners last year and I have been surprised by how frequently I use it — so handy! How great of you and Claire to offer this giveaway. I would love to be entered into the drawing. I mainly use Burdastyle magazine patterns and while I don’t mind tracing so much I find adding the seam allowances to be a bit of a pain. I’m really curious as to how well these would work over my more conventional method of using a seam gauge; they definitely look easier. Yes please! My current version is giving up on life…. I’m so glad they’re back. These are so cool! Thanks for the opportunity to win one of these. It’s just what I need to get off my duff and finally trace a pattern out of Ottobre! These look great – I use a lot of burda patterns and they would be helpful. 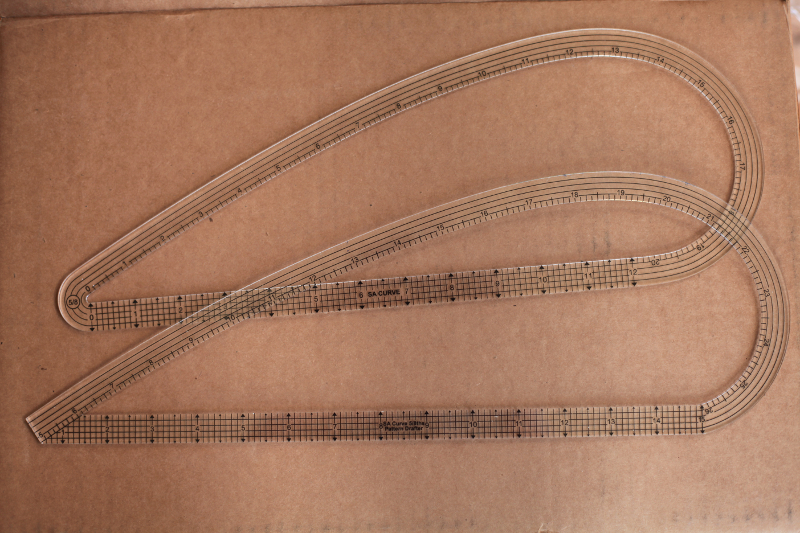 I already have a french curve for drafting and changing patterns, but it only has inch increments on it. I guess I would even use them the other way around to mark the seam lines on pattern which have seam allowance included 😀 The curve tool in the kickstarter is very tempting too. I went looking for this on etsy a little while ago and couldn’t find it. It would be great to have it…. How kind of you to offer the contest. I am an elder and using these tools would be a godsend, as my body changes regularly and I need to make a number of adjustments to patterns these days. Thank you! A french curve has been on my list of must purchase for a while now and these would be so perfect. Thank you to you and Claire for the wonderful give away. I love these rulers! So excited that the SA Curve shop is back! 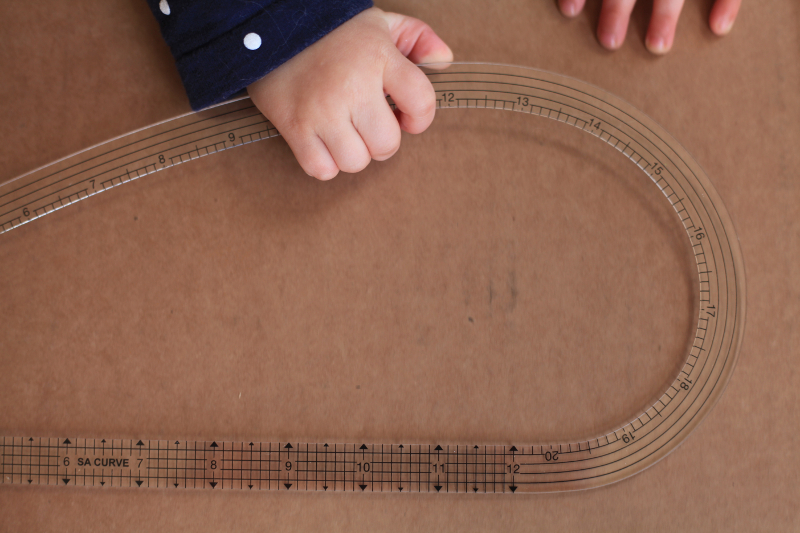 Totally backing the kickstarter, and would love one of these curve rulers too! Oh…. luv!!! These are brilliant!! I would love to win a metric French Curve. It’s been on my wish list since you first reviewed it and it’s great to know the design has been upgraded. That curve runner sounds intriguing…off to look at the campaign! BTW your daughter is looks so cute! I love these sewing tools! Thanks for the giveaway! What a cool ruler! Definitely need this. Love the open design for drawing seam allowances! Very interesting to know about these, I’ve not seem them before. What a wonderful tool. I would love to win one. Thanks for sharing the info on the Kickstarter Campaign too. I found your blog through the new Sewing blog list on Blogger. So glad I did. I have been eyeing these rulers for some time now and would love a chance to get one. Thanks! Isn’t it awesome that Oonaballoona got Bloglovin’ to make a sewing category?! Wow, this looks very cool. I spent last night making pattern adjustments and this would have come in handy. This looks like a great ruler. I would love to win. I have the original version. Would love to win the new version! Thank you for the giveaway! I love sewing toys! Please enter me in the draw. I commented once but it did not appear. Hence I am trying again. Please count me in the draw. What a smart ruler!! I’d love one!! Love Kickstarter and I’m sure she’ll do great. I have never used one of these…but would like to give it a try! I would like to know what is the most useful one as a first buy? Hi Ann – I think it depends on what you’d most use it for. 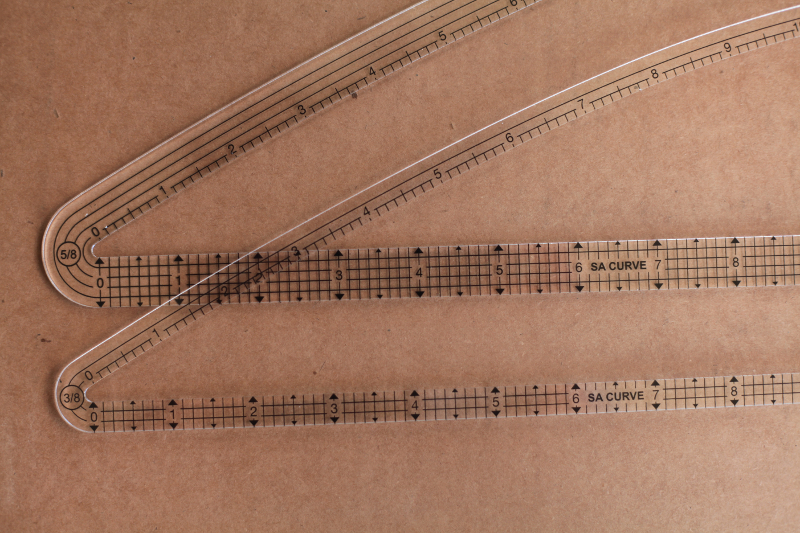 I use the 5/8″ ruler to add the stitching line to traditional paper patterns that I’m trying to fit. Having the stitching lines really helps me understand how I’m changing the seam lines when I modify a pattern. I also use it for adding seam allowances to BurdaStyle patterns. The 3/8″ ruler is nice for adding seam allowances if you are confident in the fit of a pattern and don’t want all of the bulk in your finished seam allowances. I’ve also found that narrower seam allowances are also nicer when trying to set sleeves. I haven’t used the 1/2″ ruler, but I bet it would be much the same. I would love to be entered into the giveaway. I could use some better pattern drafting tools. I’m so happy this ruler is available again! I kicked myself HARD a couple of years ago when I wanted to order it and found it no longer available. Please enter me in the giveaway , I trace mainly Burda patterns and this would make life so much easier! Very cool! I’d love to win! ohhh is it too late? I’d love to have one of those rulers!